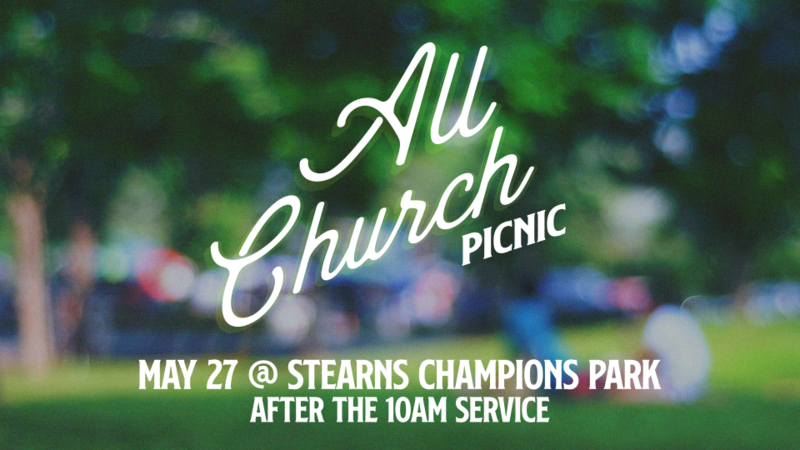 After one 10 am service on Sunday, May 27, your family is invited to join us for an All Church Picnic at Stearns Champions Park from 12 - 4 pm. Bethany Bingo: Use the Bethany Bingo Card to join activities and/or find people who match each square. Meet someone new! Team Tug of War: We’ve learned that teams are stronger than one! Let’s pull together & pull together! Three age-level pulls. Really Wacky Relay: This relay will rely on multi-generational teams to race to complete some simple and silly team tasks. Water Balloon Toss: Make a splash with this fun game for all ages. Ongoing Games: Volleyball, Corn Hole, Lawn Yahtzee, & Frisbee. Prize tickets will be given for each scheduled activity and prize drawings will be held at 3 pm. Show off your baking skills and share some sweets with the rest of us! Here's how to enter: Bring at least 2 dozen homemade cookies in a disposable container to the contest table by 1 PM. Cookies will be shared with picnic-goers as dessert and will be judged by Most Creative, Best Design, Best Tasting, and Best Overall. Winners will be announced at 3 PM. Click here to enter the Cookie Bake-Off. Enjoy your lunch & connect with others.